KATHMANDU, April 22: The Office of the Prime Minister is revisiting the relevent laws to avoid the complications that lie ahead in bringing key government entities, including some anti-corruption agencies, under the PMO, as part of efforts by Prime Minister KP Sharma Oli to consolidate the powers of the head of the executive branch. Soon after coming into office with a strong popular mandate, PM Oli decided to bring some key offices, including the Department of Money Laundering Investigations, Department of Revenue Investigations and National Investigation Department, under his office. The prime minister is also reportedly seeking the role of overseeing the I/NGOs through a revamp of the Social Welfare Council, the body responsible for regulating the non-governmental organization sector. Howsever, there are some legal and administrative challenges in bringing such entities formally under the PMO. Legal experts are studying the legal complications involved while administrative experts are studying the organizational and management aspects. 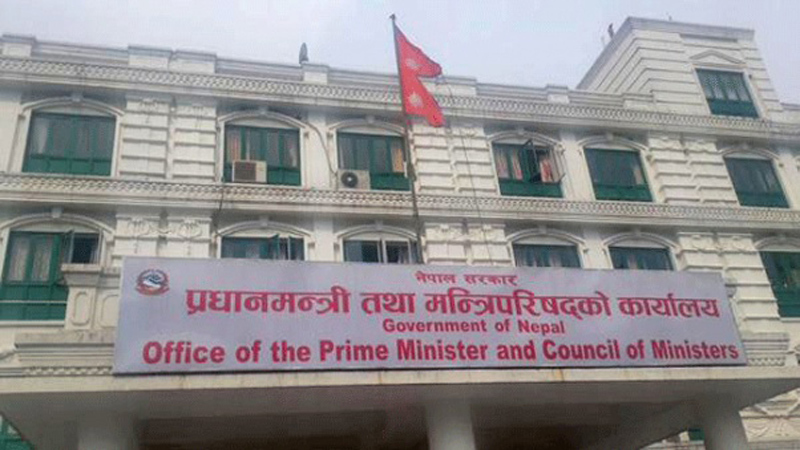 “PMO is studying how to make these offices more effective under the new operational modality and an organizational and management survey is underway,” said Binod Bahadur Kunwar, spokesperson at the PMO. “Meanwhile, government secretaries with legal backgrounds are studying whether there are any legal complications that need to be addressed,” he added. A team of legal experts led by the PMO's legal secretary, Dilliraj Ghimire, is studying the legal ramifications. Officials at the PMO hope both the O&M survey and legal review will be complete within a week. Previously, some quasi-judicial organizations have functioned under the Ministry of Finance as has the National Investigation Department (NID) under the Ministry of Home Affairs. Some of the organizations being brought under the PMO have started adjusting their organizational structure with a view to strengthening their capabilities. NID, for example, has proposed expanding its strength and naming an inspector general of investigations in lieu of the existing NID chief. It is also creating additional positions among the rank and file. Following the decision to bring these crucial entities under the PMO, their respective chiefs have started to brief Kedar Bahadur Adhikar, the nodal secretary at the PMO. Sources close to the prime minister say he wants to appoint one of his trusted men as minister without portfolio to oversee all the entities being brought directly under his office. But the increase in the number of cabinet ministers to accommodate dissident groups within his own party and within junior coalition partner Maoist Centre has put the prime minister in a fix. The constitution has limited the number of ministers allowed in the cabinet. “PM was for assigning a dedicated minister to look after the PMO. 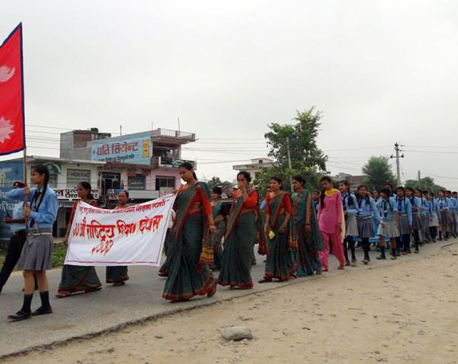 But things have not progressed as discussed” said Chetan Adhikari, PM Oli's coordinator.